Dedric Lawson, the paint is yours. 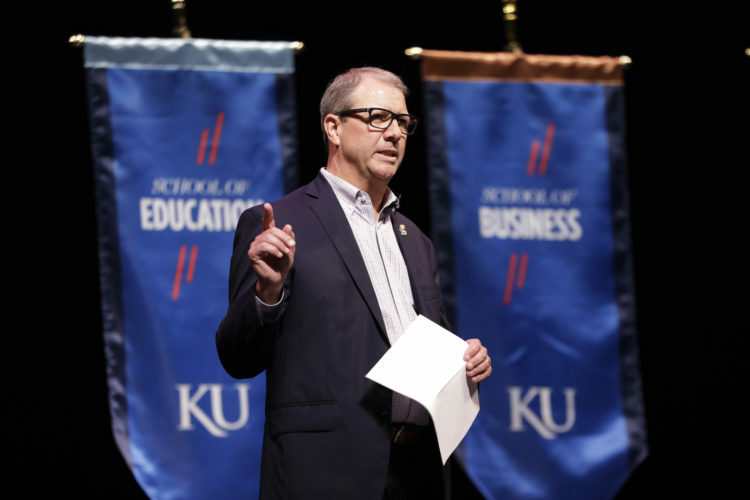 As inviting as that sounds for an aspiring All-American, you’ll have to forgive this Kansas basketball team’s best all-around player for not diving head first into his new role as the Jayhawks’ pseudo center. 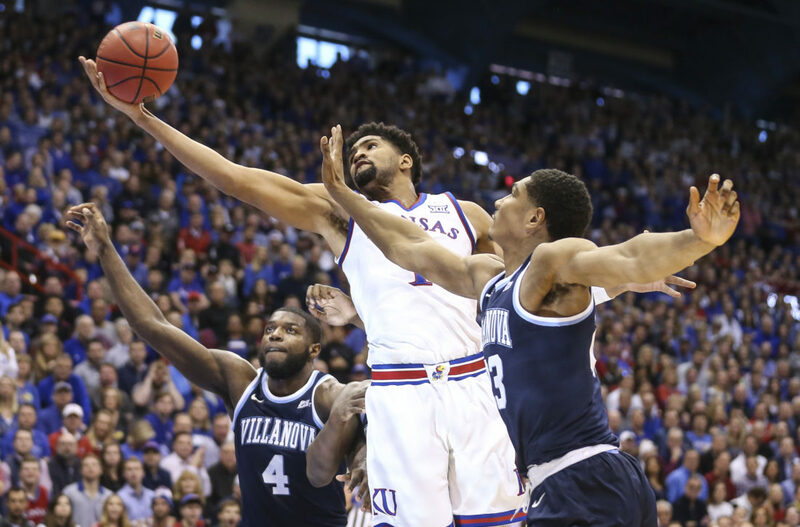 It took Lawson, a redshirt junior forward but a first-year KU contributor, a little time to feel things out — just like when he’s methodically working past his defender to get to the paint, relying on his mind and repetitions rather than his athleticism. Fortunately for No. 1-ranked Kansas, that process only lasted a game for Lawson. A week after encountering some stumbles, albeit in a double-double performance, against New Mexico State, Lawson’s old-man game proved effective throughout a 74-71 Jayhawks victory over Villanova inside Allen Fieldhouse. 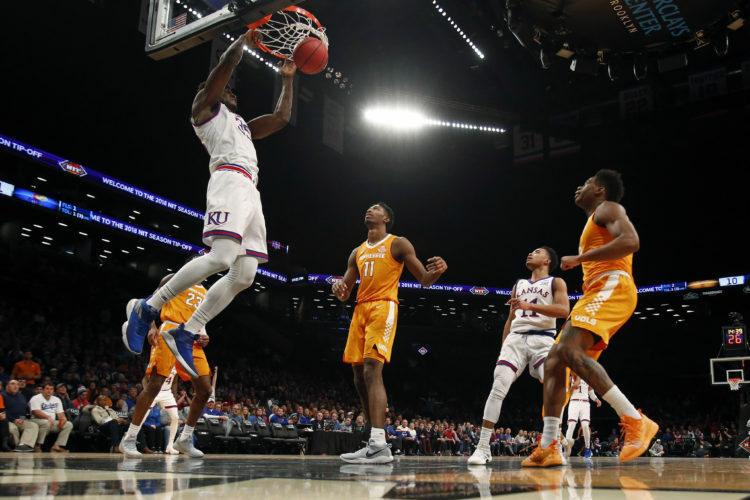 In his second game manning the 5-spot on the floor instead of injured junior center and back-to-the-basket natural Udoka Azubuike, Lawson learned from the mistakes he made in his first outing as the lone big in a four-guard lineup. 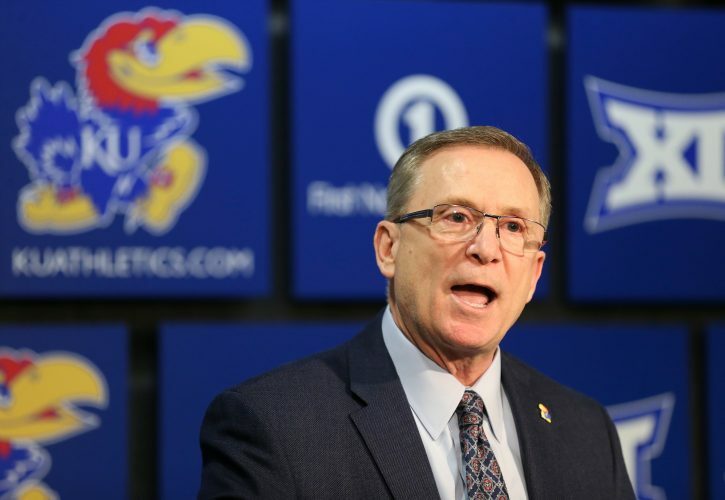 The game reps versus NMSU followed up by countless more during practices led to a more assertive mindset from Lawson, who scored at least 20 points for the sixth consecutive game, putting him one game behind Frank Mason III’s run of seven in a row for the most in the Bill Self era. The skilled 6-foot-9 junior from Memphis scored 16 points in the paint not with thunderous Azubuike-like jams, but by using his footwork and feel to exploit Villanova’s skilled and prepared defenders whenever he could. 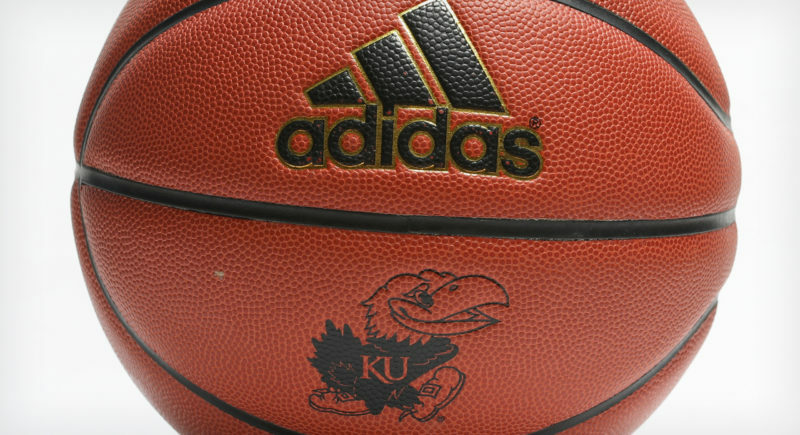 As long as Azubuike’s out — and Self indicated after KU improved to 9-0 that will likely be until January at the earliest — the Jayhawks can run their offense through Lawson and expect successful results instead of the fumbles and the sometimes antsy takes that led to an off night against NMSU. But don’t count Self among those who look at KU’s lineup without Azubuike and see it as an advantage. And, realistically, fewer of those opinions are probably floating out there after Lawson and Lagerald Vick (29 points) had to carry the offense against No. 17 Villanova (8-4). If Lawson becoming KU’s new primary big man — David McCormack played only one minute off the bench Saturday and Mitch Lightfoot logged 14 — comes with any type of benefit, Self thinks it shows up in his team’s head space. If Lawson (12 rebounds) had any critiques of his sixth double-double of the season, it was that he went 7 for 9 at the foul line when he expected to go 9 for 9. KU only led by 3 points when he missed the first of two attempts with 0:17 to play and Villanova making a late charge. “I don’t know what happened. One of my free throws, it came off wrong. I knew when I shot it I had missed it. I wanted to get back up there and knock them down the next time,” Lawson said. That he did. Not just by hitting the second. Lawson also was the man who had to seal the game with 0:06 left to play. And he connected on a pair of free throws to push the lead from 72-70 to 74-70. “I’ve never been the most athletic guy on the team, so I always worked on other skill sets, like shooting, to draw more value to my game,” Lawson said of being a big man who can be relied upon to not only catch the ball against a press but also go knock down free throws. Now averaging team-bests 20.1 points, 10.8 rebounds and 2.7 assists through nine games, in spite of a scoreless outing versus Vermont in November, Lawson is finally comfortable as KU’s focal point. Self didn’t expect Lawson would have to adjust “at all” to his new role. But now that the versatile, intuitive forward has, the hard part may come when he has to re-adjust in a few weeks to Azubuike’s return. But Lawson is so unselfish he’ll probably just see that as an opportunity to improve his assist numbers, with entry passes and lobs that lead to Azubuike jump-hooks, layups and dunks. Lawson can do it all for KU. And now he knows it because he has experienced it.